Let’s face it, it’s just not a celebration without a colorful, candy-filled piñata, is it? Luckily for you, we’ve rounded-up the best of the best – Piñatas representing everything from mythical creatures and animals you adore, to mouth-watering food and fantastic flora. How adorable are these mini piñatas from A Blackbird’s Epiphany? They’re the perfect thing to give out as party favors, plus they’re super easy to make thanks to this tutorial! Whether you’re hosting a love-themed party or it’s Valentine’s Day, this DIY heart piñata is the perfect accompaniment to any event. You’ll ‘heart’ this step-by-step guide from Alana Jones-Mann. What’s better than fancy and colorful numbers to decorate your next party? Piñatas numbers of course – everything is better when filled with candy! Find out how you can make your very own by checking out this guide from A Pretty Cool Life. When it comes to piñatas to celebrate the Day of The Dead, you just can’t go past this DIY project from Artelexia! Be sure to take a look at her tutorial to see exactly how it was done. These metallic, diamond shaped piñatas are all the rage now, but they can set you back a small fortune! Why not create your own, just as Best Friends for Frosting has done? You’ll love this tutorial! Feeling a little lost for words? Express yourself with this DIY Emoji piñata! Brite and Bubbly has got you covered when it comes to materials and method too – So easy! This DIY shooting star piñata is a beautiful treat for the eyes (and stomach!). Confetti Pop has made the impossible possible, so be sure to check out this step-by-step guide to creating your own version! Here’s a piñata with a Christmas inspired difference! Confetti Pop has created this Xmas tree version of everyone’s favorite candy-filled object. With Cupcake Project’s love of all things related to cupcakes, it comes as no surprise that she wanted to make a cupcake themed piñata! Both children and adults alike are going to love this party decoration. You’d be pretty hard-pressed to find someone who didn’t love pizza. Frankie Magazine has made us fall in love with pizza all over again, thanks to this DIY pizza piñata project! It’s just not a celebration without a piñata, so how about creating this amazing gender reveal piñata just as Funny Beautiful has done? There’s even a step-by-step tutorial which you’ll find simple and fun! This piñata is way too beautiful for the brutality that usually comes with cracking one open! Happy Thought has luckily incorporated a pull-string into her DIY design. If you’re throwing a kid’s birthday party in the coming weeks, you’ll certainly want to bookmark this Ollie the Owl piñata craft tutorial from Hobby Craft! It’s even got a step-by-step picture guide! Candy Corn is synonymous with Halloween, and with this festive holiday right around the corner, what could be better than creating your very own Candy Corn piñata to surprise the kids? Jess Explains It All has done a great job with this DIY project. Just think, this lovely floral decoration is filled with candy! Lia Griffith will show you how to make this piñata over on her blog, and it’s perfect for baby showers, birthdays, and even bridal showers! This ice cream piñata by Lily Shop is absolutely genius! It’s also very easy to create and is perfect to whip-up this weekend. These DIY watermelon pinatas by Minted are the most perfect treat-filled decorations to accompany your next summer inspired party! This picture-perfect tutorial is sure to inspire you too. Mini piñata party favors are such a wonderful idea, and they’re even incredibly easy to make! Oh Happy Day has a complete guide to making these bee-utiful treats. What could be better than a popsicle? A giant popsicle piñata filled with candy of course! Oh Happy Day is definitely your go-to lady for one-of-a-kind piñatas that you can easily make yourself. Everybody’s loving cacti of late, and we can’t think of anything better to add to your next fiesta than this DIY cactus piñata by Oh Happy Day! Do you have a reptile-loving child with an upcoming birthday? Why not put together this amazing alligator piñata, just as Oh Happy Day has done? You and your child are sure to love it! Sprinkle your next party with some magic, thanks to this wonderful unicorn piñata that you can make yourself! Simply follow Oh Happy Day’s tutorial to recreate this masterpiece. 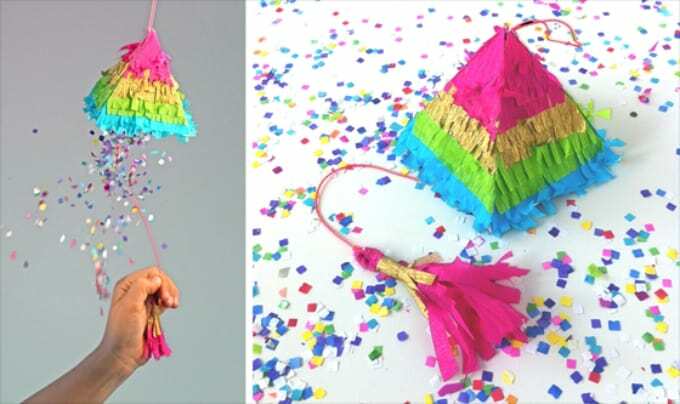 What a fun and fantastic DIY piñata idea from Oh Lovely Place! Do you want to create a pineapple piñata just like this one? Check out this tutorial for everything that you need to know. When you combine cute fruit, candy and string, you get this amazing DIY piñata garland by Persia Lou! These mini fruit piñatas are such a treat to make too! Donuts, hearts and clouds – Oh my! Turn some of your favorite shapes into stylish piñatas thanks to this brilliant tutorial from Pop Sugar. Now you can incorporate two decorative elements of a birthday party into one with this giant number piñata idea from Project Nursery! Your little ones are especially going to love this one. Got a little fireman at home begging for a fire engine themed birthday party? 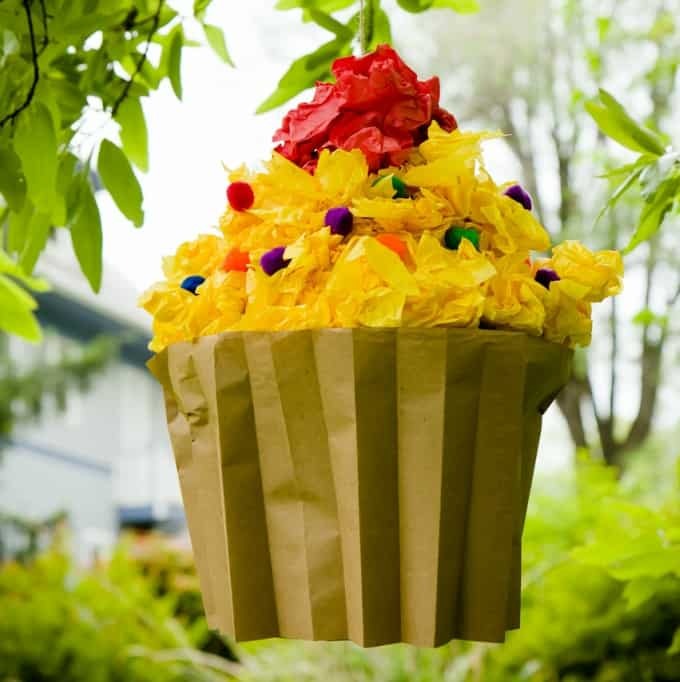 Let this home-made piñata from Small and Friendly’s blog inspire you to create your very own! Something Turquoise has created this awesome piñata guest book to display at weddings and engagement parties – What a great twist on this cheerful tradition! Here’s a beautiful piñata project from Studio DIY that you can also easily make yourself – this adorable gingerbread man. Don’t forget those ‘gum drop buttons’! When it comes to celebrating your special occasion in style, you just can’t go past this amazing DIY lipstick piñata from the very talented Studio DIY. How unique! You can also add some fun to your festivities with this giant flamingo piñata, created by Studio DIY. This fancy thing almost looks too good to hit! How awesome is this DIY donut piñata from Studio DIY? Donuts are all the rage these days, so bring that cool-factor to your next party with this project! Perhaps you’re on a cake diet, or even love cake so much that you need two at your next birthday party – Whatever the reason, this DIY cake piñata from Studio DIY has got you covered! The tutorial is super easy to follow too. It’s just not a Mexican fiesta without a giant taco piñata, is it? Studio DIY has even provided her step-by-step guide to creating such goodness! This DIY piñata tutorial by Studio DIY is great for beginners, because it simply uses a store-bought piñata and gives it a dazzling makeover! You’ll definitely want to give this one a try. There you have it! 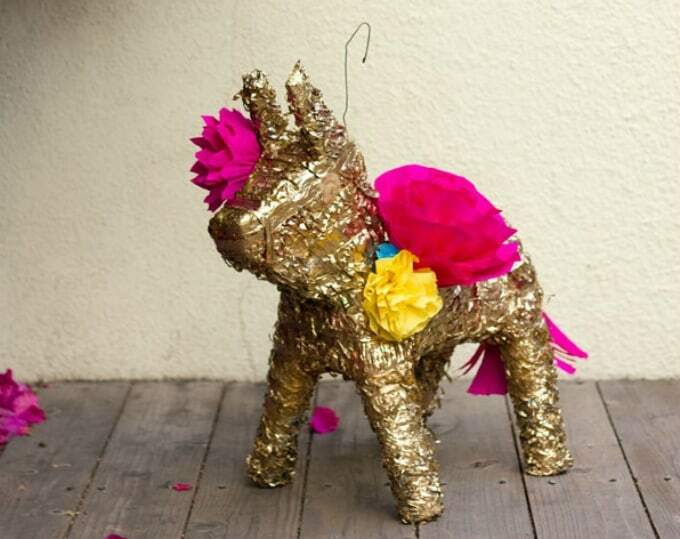 35 simple yet stunning piñatas that you’re sure to love. Which ones are your favorites? We’d love to hear your thoughts in the Comments section below!